Listen to the beautiful melodies that will greet you in thatgamecompany’s upcoming release, Sky. 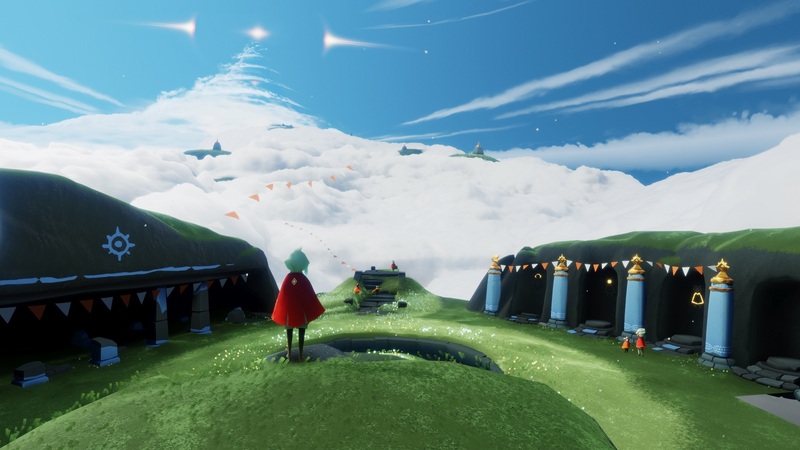 Vince Diamante, audio director at thatgamecompany, has been hard at work on the soundtrack to the studio’s upcoming title, Sky. The game, which original debuted back in September during Apple’s iPhone event, is set to launch first on the Apple App Store before releasing on other platforms at a later date. This was definitely an interesting choice that left fans of thatgamecompany’s previous PlayStation exclusives, Flower and Journey, scratching their heads. Nevertheless, the initial previews of Sky have certainly been captivating both in premise and overall scope. While we have a general idea as to Sky’s gameplay and graphical design, we were less informed in regards to the direction of the game’s score. Recently, Vince Diamante sat down with IGN to discuss some of the inspirations behind Sky’s soundtrack. One thing he notes in the interview with IGN is that because there’s a lot of flying in the game, he wanted to focus primarily on woodwind instruments. Furthermore, because he was just learning woodwinds himself, he also worked to keep the soundtrack simple and approachable. Following an overview of Sky’s musical direction, the video gives viewers a small preview of one of the introductory songs from the game entitled “The Gate.” The track certainly makes use of Diamante’s woodwind focus, and feels reminiscent of thatgamecompany’s iconic masterpiece, Journey. Without a doubt, one thing thatgamecompany consistently gets right are their soundtracks. As such, we’re extremely excited to hear the full OST when Sky releases sometime next year. What do you think of the latest audio preview of Sky? Are you liking the direction Diamante is heading in? Let us know your thoughts down in the comments below!